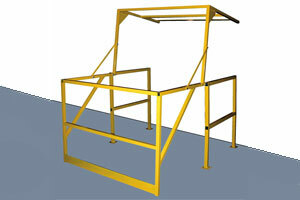 Our Mezz-200 safety gates are balanced to rotate easily without springs. These cost-effective pivoting gates keep the gate in the loading position for efficiency. 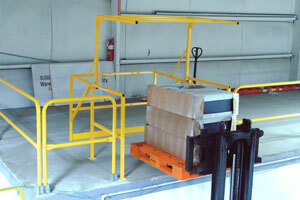 When you are ready to access the pallet on the mezzanine, simply tip the gate, offering your workers fall-protected access. 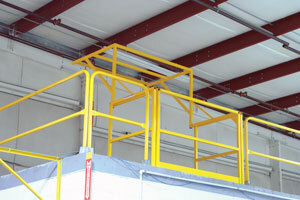 Made of heavy-duty, welded steel that's powder-coated in high-visibility yellow, these gates meet OSHA requirements.